I hate to admit it, but I’m not a good traveler. Wait, I take that back. I’m almost a great traveler once I get on the plane and arrive at the destination with a map in my hand. But even then I still get anxious . I need to know where I am in the universe. I was probably a little more apprehensive than usual about flying to Israel because my husband would not be joining me. True, my daughter and my grandsons would be with me, but Israel was on the other side of the world and I still had my reservations. But there was something compelling me to go on this trip and it was the Masada. I’m not sure where this desire came from. I just knew that I had to stand on top of the Masada. Most Jews who visit Israel want to pray at the Western Wall. I simply wanted to stand on the mountain that was Masada. I wanted to absorb the courage and resilience of my ancient ancestors and imagine, if possible, the strength and tenacity that my forebears exhibited nearly two millennia ago. But Masada did not enter Israeli history for its design, but because of the events of 73 and 74 AD. It was then that 967 Jewish rebels who had captured the fortress at the beginning of the Roman wars fought a heroic last stand against the Roman invaders. Led by a charismatic leader, Eleazar ben Yair, these rebels and their families were able to stave off the Roman general Flavius Silva and his troops for years. It wasn’t until Flavius, using thousands of slaves, built a siege ramp which enabled his soldiers to breach the Masada walls. Rather than be taken prisoners, the Jewish fighters drew straws to determine who would kill the members of the community after which they would kill themselves. Two women and five children hid in a cistern and survived to tell the story. They quoted Eleazar, their leader, saying, "Since we, long ago, my generous friends, resolved never to be servants to the Romans, not to any other than to God himself, who alone is the true and just Lord of mankind, the time is now come that obliges us to make that resolution true in practice." I somehow sensed that placing my feet on this mountain would have a profound effect on me. I didn’t know what it would be. Yet. On our first day in Jerusalem, we drove in a van to Masada with my cousin and her family. I had no idea that Jerusalem was about 2800 feet above sea level. Suddenly, we began descending from the heights of the city to the Dead Sea which is about 1,300 below sea level. 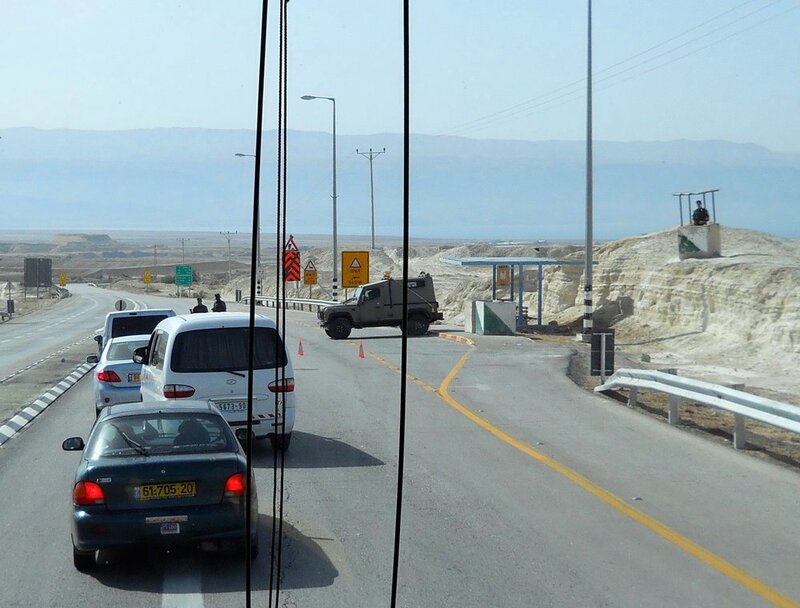 My ears popped as we drove down the highway passing through the West Bank and a checkpoint manned by Israeli soldiers. As I looked out the window, I passed a Bedouin encampment with camels, sheep, tin-roofed structures in the middle of nowhere. There were even signs alerting drivers to camel crossings. Further down the highway was the Dead Sea and across it I could see Jordan. I never realized how close it was to Israel. The Dead Sea was on one side and on the other, huge, barren caves appeared within towering mountains. The mountains seemed so high because we were so far below sea level. The caves were oddly shaped and I realized they had been formed when this amazing land had once been under the sea for millennia. 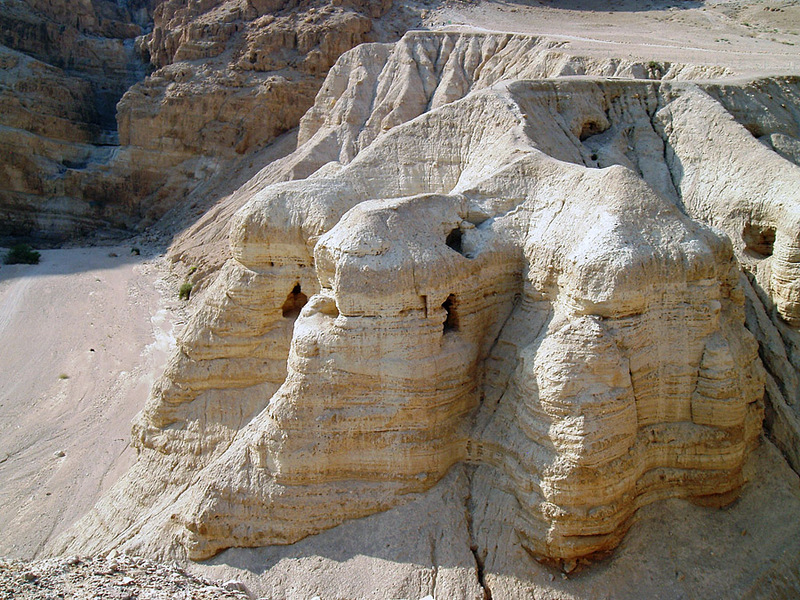 These were the Qumran caves where the Dead Sea scrolls were discovered between 1946 and 1956 by Bedouin shepherds. I was so excited that I wanted to leap out of our van and climb up to explore those sanctuaries of history. I have always been fascinated by the mystery of the Dead Sea Scrolls, the conflict of ownership that surrounds them and the battle between warring factions of scholars. Suddenly, I saw a huge plateau looming ahead of me. I gasped and thought, “OMG!” it really is Masada!. Towering above me was a massive, powerful mesa measuring 18 acres at the top. It took my breath away. As I stepped out of our air-conditioned van, the blistering heat of the Judean Desert took my breath away. It was 95 degrees at the base of the Masada and it sure wasn’t going to be any cooler at the top! I quickly made my way into the beautiful Masada Visitors Center. I was so impressed that I asked if Israel’s Cabinet had a Minister of Design! But, Masada awaited and I happily jumped on board the air-conditioned tram. While traveling up the mountain, we could actually see the remnants of the Roman encampment from 73 BCE below us.The encampment was preserved for thousands of years because of the extreme dryness and heat of the desert. Within this compound, Roman legions and Jewish prisoners of war, totaling some 15,000 men and women (of whom an estimated 8,000 to 9,000 were fighting men) camped to lay siege to the 967 people on Masada. Yes, I’ve been to Westminster Abbey, the Coliseum in Rome, toured the Vatican, walked on Michelangelo’s steps in the Laurentian library, but somehow nothing prepared me for the emotions I felt as I approached the top of the eternal Masada. There were mazes of structures for living, praying and cooking. It was hard to explore everything because of the intense heat. I had been wrong earlier. It was hotter at the top. In fact, my iPhone got so hot that the screen actually went black! 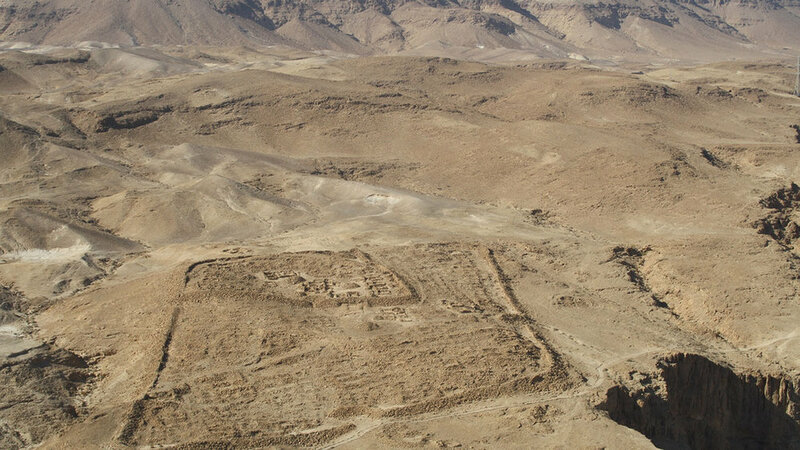 How was Herod able to construct a palace high on the side of a mountain? How many slaves died creating it for him? Where did the engineering knowledge come from? Finally, I stood on the Masada with a mixture of emotions: wonder, awe, incredulity, pride, reverence. When I got home from Israel I became obsessed with its history. I read book after book. One of my favorites was by Alice Hoffman, The Dovekeepers. 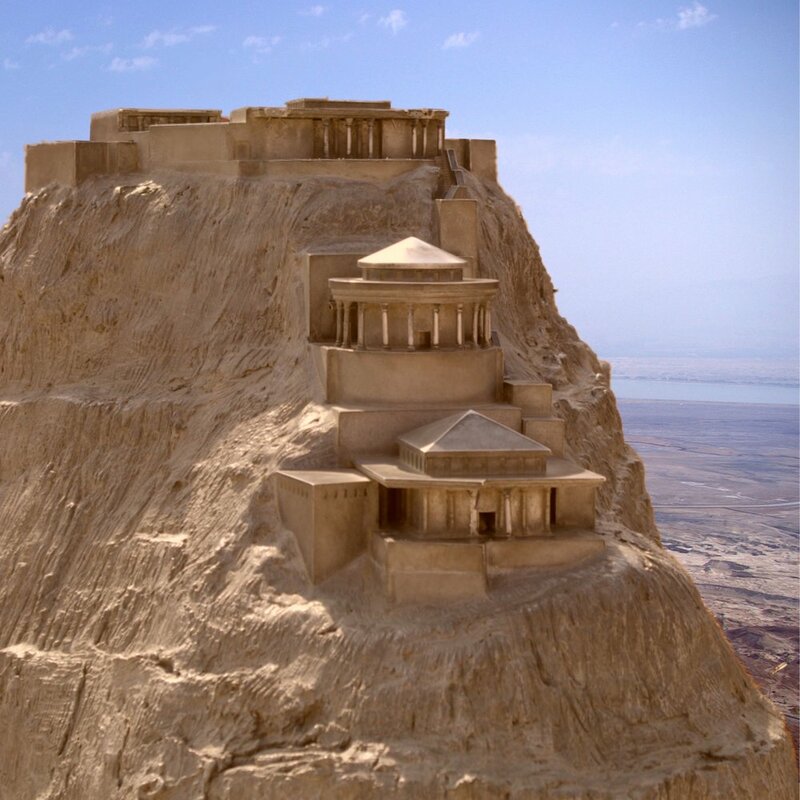 It is a fictionalized version of the story of Masada and the people who fought and died there. It’s a fascinating book that I highly recommend. Despite being back in Los Angeles and adjusting to my every day life, I kept thinking of Israel. So I guess I shouldn’t have been surprised when a few months later, when the Jewish holidays arrived, I experienced an epiphany. I had gone to temple with my sister and her husband. At one point in the service, we were asked to stand. And as I stood, I suddenly felt that I was not merely standing in the temple at that moment, but also standing on Masada thousands of years ago. It was a visceral connection between my ancient Masada ancestors and me. I felt that the blood that had run through the veins of my people thousands of years ago was flowing within me today. They were me. I was them. It was Chayei Olam –– Eternal life. Have you been to the Masada? Have you traveled in the Middle East?